Back-to-school season is here. It is time for parents to gather school supplies and back packs. It’s also the perfect time to make sure your children are up to date on their vaccines. To celebrate the importance of immunizations for people of all ages- and make sure children are protected with all the vaccines they need- The Seward County Health Department is joining partners nationwide in recognizing August as National Immunization Awareness Month. When children are not vaccinated, they are at increased risk for diseases and can also spread diseases to others in their classrooms and community-including babies who are too young to be fully vaccinated, and people with weakened immune systems due to cancer or health conditions. 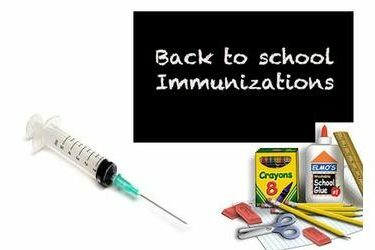 Talk to your child’s doctor or local health department to find out which vaccines are recommended for them before going back to school. Parents can find out more about recommended vaccines at www.cdc.gov/vaccines/ or call the Seward County Health Department at 620-626-3369.